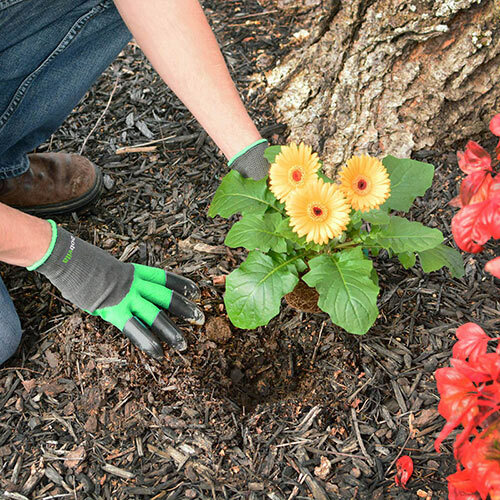 Garden like you mean it with these unique, right handed shovel gloves that allow you to dig right in! 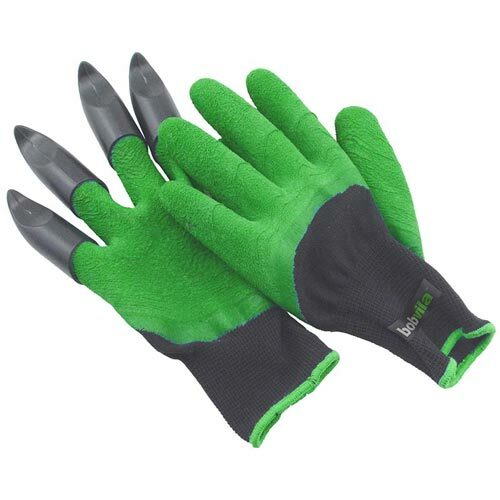 A waterproof latex, crinkle coating with durable plastic tips allows you to get the job done even in wet conditions. Breathable fabric with a comfortable knit, stretches to fit most hand sizes (may be too large for children). Simply wash gloves with mild detergent, rinse and air dry after a fulfilling day in the garden. 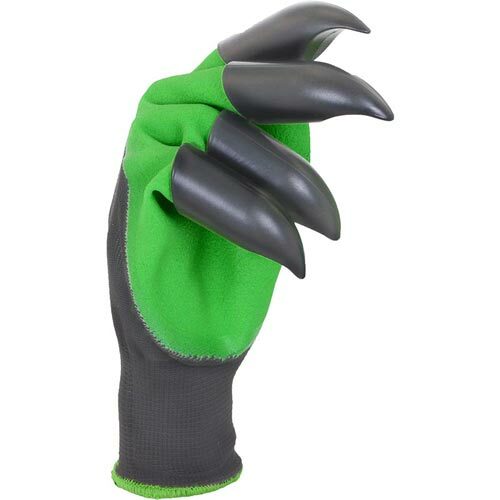 Gloves are not meant to protect hands from harsh chemicals. Finally a garden tool that understands your primal urge to dig in the dirt!